Learn how to get THIS close! 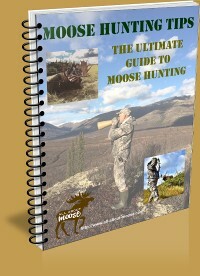 How can the Moose Hunting Tips eBook - The Ultimate Guide to Moose Hunting help you? Quite simply it's the largest collection of moose hunting tips and techniques available in one place. Usually only known to the professionals, insider tips yours to study and learn from. 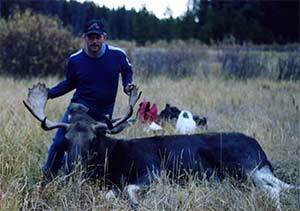 Moose hunting techniques used by guides and outfitters to lead their clients to successful moose hunts. All seasons, all provinces, all states. The tips will work wherever you are hunting moose. Reduce the amount of time needed to harvest a moose. That's what you're here for, right? This book has been years in the making and the articles will increase your understanding of moose, moose habitat and moose hunting techniques. "This moose hunting book is a one-of-a-kind. 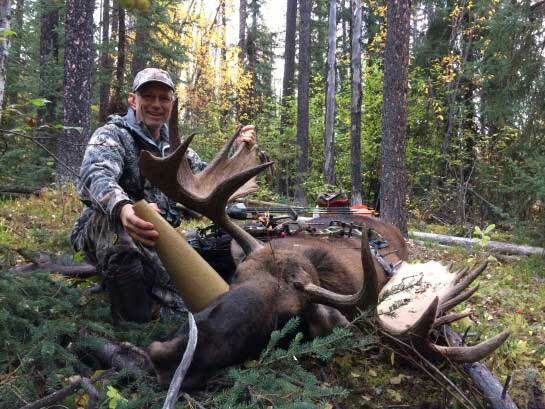 You just won't find a resource with as much information about moose hunting anywhere else." Over time we have seen a large increase in visitors to the moose hunting tips page, with that page alone being viewed by more than 6100 times this past September. Time, to make it easier for you to access ALL the moose hunting tips you'll ever need brought to you in one place. We compiled all of our moose hunting tips into one simple downloadable PDF file or get the print version (or both). The moose hunting book has 58 chapters of well-defined and explained articles for your enjoyment and education. And have success like this! All About Moose is an educational website put together to give you, the reader, all the information about moose in one location. We support moose conservation, education and supply inspiration for you and we ask that you do the same for others. Help us to help you and other visitors to our website. With literally hundreds of tips, this moose hunting book is not just for novice moose hunters; seasoned hunters will definitely find many new tips to add to their moose hunting knowledge. 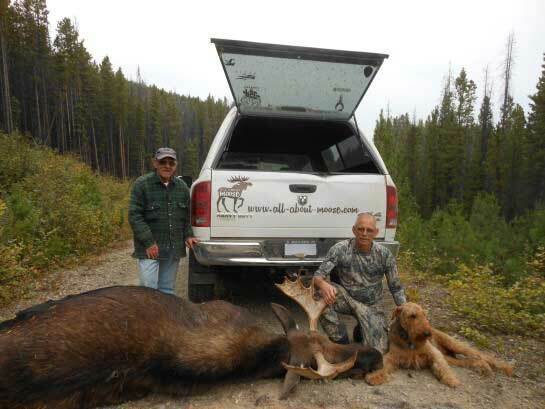 A few of our own successful moose hunts. ALL using the Moose Hunting Tips eBook. Want to learn how to hunt moose? Buy the book! Educational Values in this Moose Hunting Book. The Moose Hunting Tips eBook 2nd Ed, The Ultimate Guide to Moose Hunting is jam packed with moose hunting information. With 183 pages of moose hunting tips and information, combined with 105+ photos that will help you learn about and understand moose and their habits. The more you know about moose - moose rut, moose calling and their physiology - the better moose hunter you will be. Are you a naturalist? The information contained in this how to find moose book will benefit you too. Learning just how, where and when to find the elusive moose. 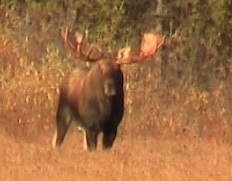 The information and tips revealed will guarantee your success in finding moose in their natural environment. Your study of moose, their habits and their habitat will ultimately lead you to more success in the field... by camera or by weapon. 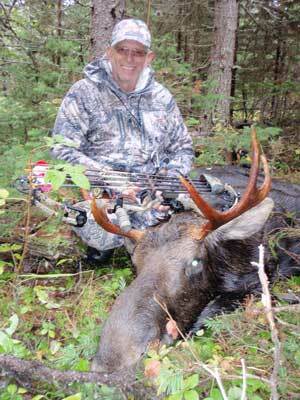 Mastery of the moose hunting tips in the The Ultimate Guide to Moose Hunting will ensure your success in the field. Success is not necessarily measured by a kill, rather by the whole experience. Seeing moose, hearing them calling and finding rubs and wallows are just a few of the joys of a successful moose expedition. When moose hunting tips and techniques are known, your chances of seeing moose increases. There are a lot of moose hunting tips and specific techniques in this book. Learn how to hunt moose by studying the moose hunting tips contained in the eBook. 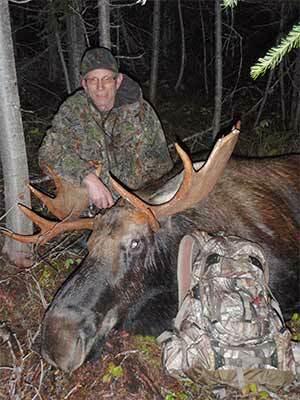 Is the Ultimate Moose Hunting Guide for you? Have you ever wandered aimlessly about in the forest looking for moose? Will a ready reference guide help you increase your moose hunting success rate? Are you tired of going season after season without harvesting a moose? Do you want to learn more about moose hunting? Do you want to reduce the amount of time required to find moose? If you answer yes to any or all of these questions then the Moose Hunting Tips Book is for you! Have you taken notes and have a working list of tips that you can study and refer to? Do you know how to hunt moose in every season? Moose react differently in many circumstances. Are you aware of all moose reactions and what you need to do to react yourself? Do you know all there is to know about moose hunting? These tips are going to boost your success rates. If you answer no to any or all of these questions then the Moose Hunting Tips Book is for you! Also included are tips from a personal interview with Wayne Carlton, the founder of Hunter Specialties and Carlton Calls. Wayne pioneered the use of the mouth diaphragm for Elk hunting and has had many years of moose hunting experiences too. 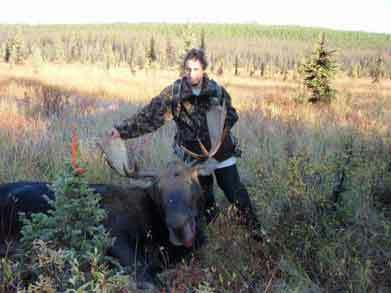 An important and record book moose was put on the ground many years ago by Wayne, that record still stands today! You pay your fee using our checkout. We don't email the Moose Hunting Tips eBook, there is no waiting. The checkout process ensures you are instantly and automatically emailed a link to download the book. 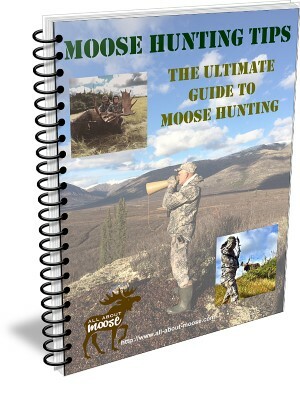 Increase Your Success Rate, Buy the Moose Hunting Tips eBook Today! Buy the print book and receive the eBook absolutely FREE! NEW! Fiberglass moose call and moose hunting guide bundle, check it out here. Printed in black & white (except four pages, 8 color images) on 8 1/2 X 11 inch paper. We try to ship printed books within two business days with typical delivery times of 4 - 10 business days depending on your location. Once your payment has completed you will receive an email notification from "client@e-junkie.com; on behalf of; All About Moose" with your download link. Downloading Moose Hunting Tips eBook to electronic devices? You will need Adobe Reader for PDF format. We can also send you an invoice for the product you want. Just use the contact us form and state your request, we'll email you back with the information you will need. 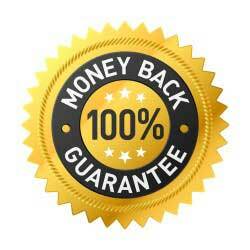 Rock solid money back guarantee. If you are not 100% satisfied with your purchase of the Moose Hunting Tips Book - The Ultimate Guide to Moose Hunting within 30 days of purchase and returned to us within 60 days of purchase we will refund *100% of your money (applies to print only*). That's how confident we are that this resource will help you improve your moose hunting skills. 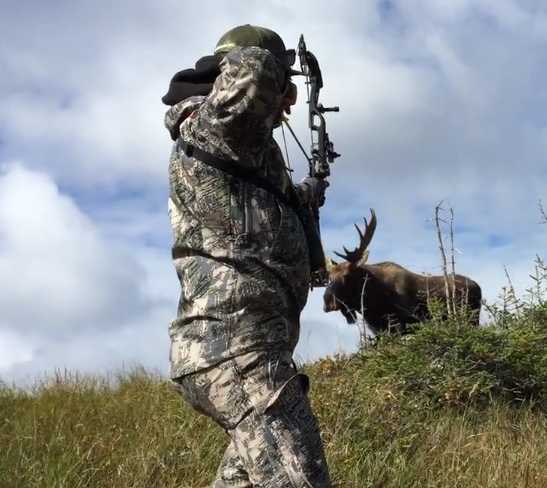 The moose hunting tips ebook - The Ultimate Guide to Moose Hunting consists of articles of original content written by the website author Mark Allardyce, as well as stories, comments and articles submitted by AAM site visitors. "You will spend countless hours reading and rereading the information while preparing for your next moose hunt." He is a food hunter, a web master and a moose-obsessed fisherman who loves everything outdoors; a quintessential outdoorsman who plans all year long for two short weeks on the calendar - yes, moose camp. He is not happy unless he has a project of epic proportions in the works - such as building boats or websites. If it wasn't for the fact that Pale Ale does not grow on trees, he could easily live off the land and you can often find him foraging in fields and forests and oceans and streams. His perfect world would involve days of endless moose camp interrupted only by a few days of ocean fishing followed by some more moose camp. Until then, he will have to be satisfied with teaching machining at a trade school where his students learn a lot about machining and a little about moose. 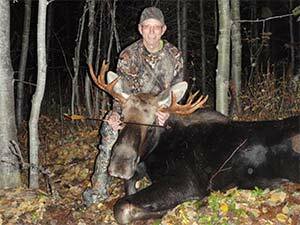 Read what other moose hunters are saying about the moose hunting tips book. Write your review here... Consider: Why did you choose this rating? What did you like or dislike? Who would you recommend this product to?